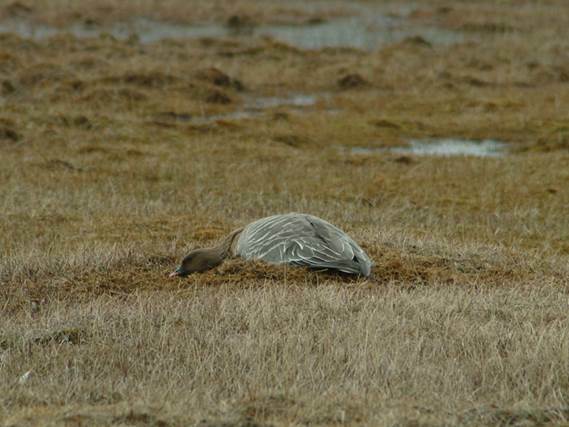 The study built upon local observations that showed that snow cover influenced breeding success of pink-footed geese. It up-scaled the analysis to the whole Svalbard population by examining various measures of snow conditions and compared them with the overall breeding success of the population, based on the proportion of juveniles in the autumn population counts. The results indicate that the breeding potential of the population may have been released, due to the recent advancement of spring in Svalbard and reproduction not being constrained by snow cover in the early part of the breeding season. The study is described in an article published in Polar Biology and is available on-line. A PDF copy is also available in the Publications section.